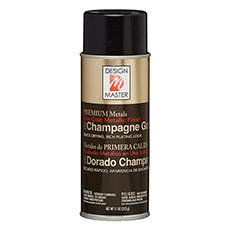 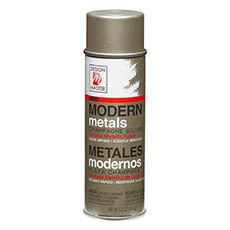 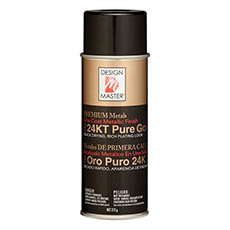 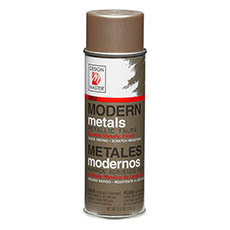 DESIGN MASTER offers several series of Metallic Colour Sprays, each having unique properties for their function and finish. All are fast-drying and can be recoated at anytime. 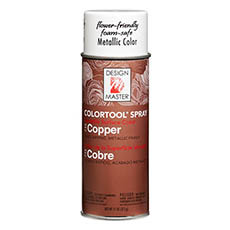 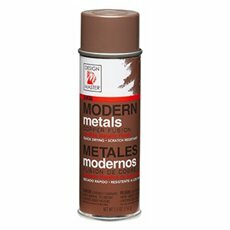 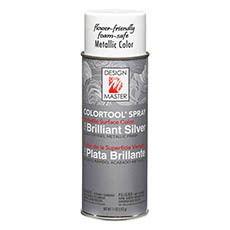 COLORTOOL METALLICS - 746 Antique Gold, 731 Brilliant Gold, 734 Brilliant Silver, 733 Copper features are ultra-fine mist satin finish, fresh flower-friendly and foam-safe, can be used on many delicate items, the most versatile metallic spray. PREMIUM METALLICS - 240 24KT Pure Gold, 732 Super Silver features are quickest coverage, brightest colour, and smooth plating-like finish. 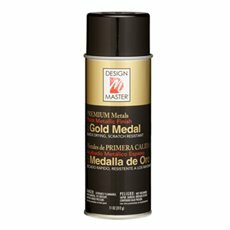 ELITE METALLICS - 231 Gold Medal, 232 Platinum, 233 Bronze thick coverage, semi-gloss finish, durable, scratch resistant finishes.